For the couple that wants to downsize for their retirement home or considering a winter retreat, the SaddleBrooke Hermosa Floor Plan may be for you. 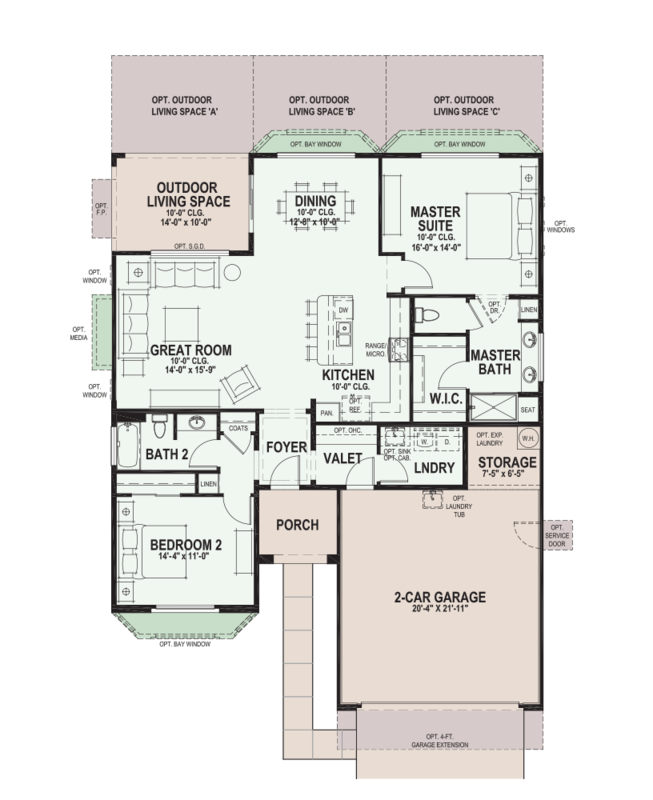 The SaddleBrooke Hermosa Floor Plan is one of 8 available floor plans in SaddleBrooke. The Hermosa Floor Plan is in the Tradition Series of Homes at SaddleBrooke and the smallest of all floor plans with 1,513 Sq. Ft. Note – SaddleBrooke model homes are located at the SaddleBrooke Ranch Sales Center.